Contextive is an Internet studio with over half a decade of experience in international and multi language projects. With a growing and varying skill set parallel to the web itself, the services provided range from design on all its conceptual and visual aspects through informational architecture and actually programming the products themselves with strong emphasis on social convergence. 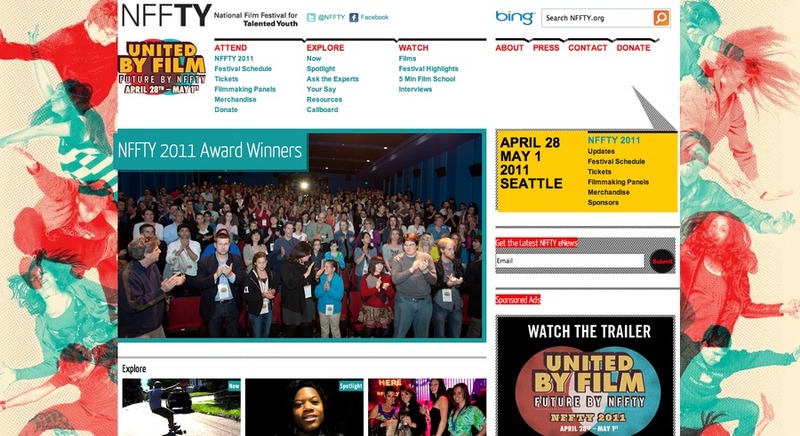 This is a screenshot of NFFTY.org's (National Fim Festival for Talented Youth) home page.